Before attending the OZTeK’13 Dive Conference & Exhibition held from 16-17 March 2013 in Sydney, key technical instructors and trainers from around the world met to discuss their passion with the PADI Asia Pacific Technical Diving Team. On Friday 15th March in Manly, Martin Robson, Rubens Monaco, Richard Nicholls, Henri Iannitti and Matt Hopkins talked Tec with staff of PADI’s Technical Diving Division – Thomas Knedlik, Junya Kato, Alex Boulton and Dan Macherel. Martin Robson, Designated Instructor Trainer for PADI Rebreather and Tec CCR, runs launch programs on behalf of all of the PADI offices worldwide. Martin is impressed with the quality of the rebreather courses and the way in which they have been designed. Martin explains, “PADI came to the table with a completely blank sheet. This gave them the opportunity to construct course materials that are the best available for any rebreather course compared to their competitors”. As an Instructor Trainer, teaching tec diving has always been a passion for Martin. “One of the best things is to come back from a course and hear people say that the dive they just completed was the best they’ve ever done, or the deepest they’ve ever dived. All those things are big milestones in a diver’s career and to have the opportunity to take people to do that is quite a privilege”, Martin said. 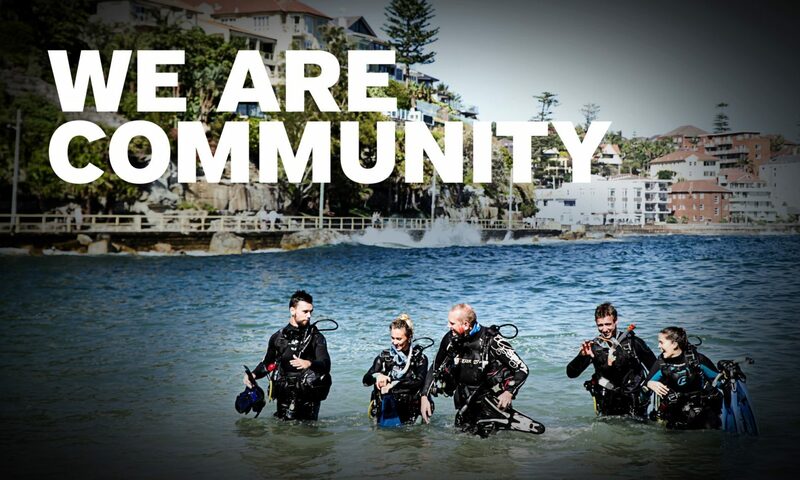 The challenge for his clients and the change involved in diving more diverse areas is what attracts Richard Nicholls, PADI Course Director/TecRec Instructor Trainer from Dive Centre Manly to tec diving. He also enjoys the educational path he can offer to experienced divers. Richard adds, “I’m interested in the development of new marketing materials and working with PADI’s Technical Diving Division in integrating these materials onto the web”. The PADI TecRec program debuted in 2000. Although TecRec is not the first technical diving program, it repeatedly receives accolades for its merits. The PADITec Diver course is an integrated sequence of three subcourses: Tec 40, Tec 45 and Tec 50. You can complete them continuously, or you can complete each level separately with a time span between them. This gives you learning efficiency, instructional integrity and schedule flexibility. For more information on PADI TecRec programs, visit padi.com or your nearest PADI TecRec Centre.